The Open Space Observatory is an initiative for gatherings and infrastructure for the observation of satellites, spacecraft, and space junk. A monthly chronicle of strange space weather and upcoming events from the Open Space Observatory. We map and catalogue background information on satellites overhead. 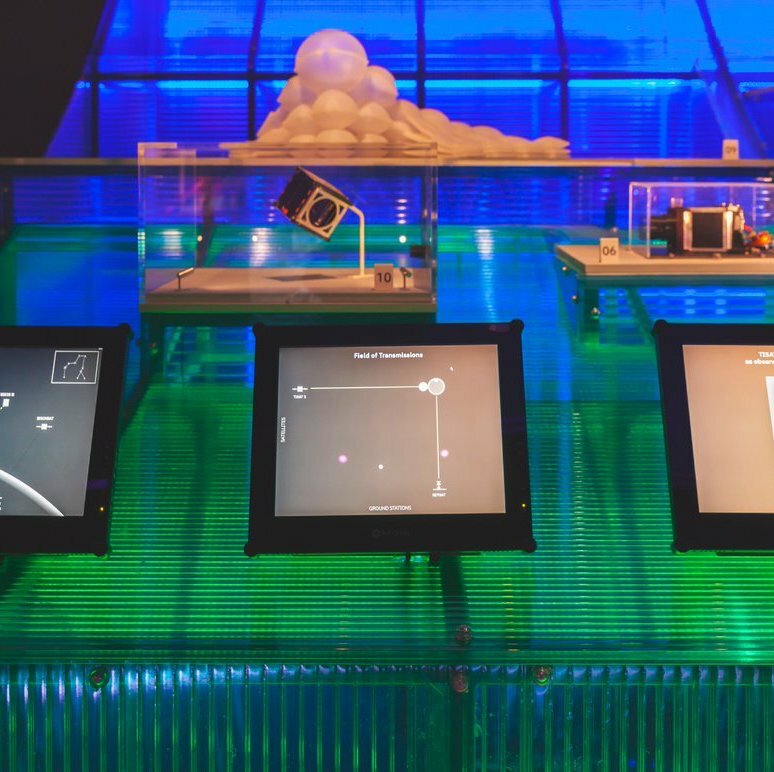 Working with the Libre Space Foundation and collaborators, the OSO embeds civic space technology in public settings, with featured projects below. 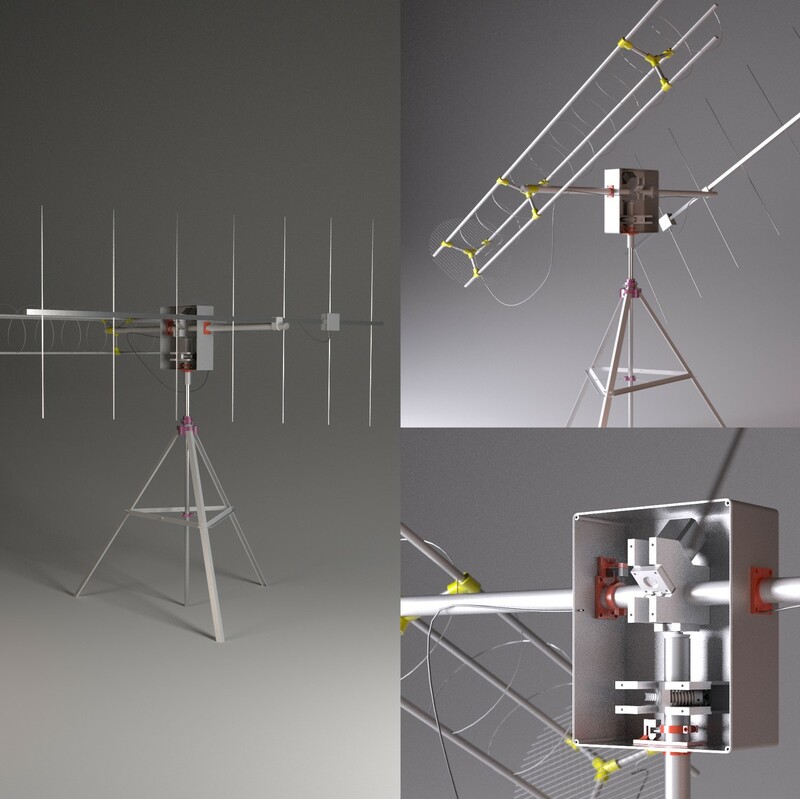 Developed by the Libre Space Foundation, the SatNOGS project encompasses a full stack of open technologies based on open standards for satellite communications, from the SatNOGS ground station to an online platform for satellite data. The Open Space Observatory installation, titled ROSE, for The Future Starts Here at the Victora & Albert Museum, captured real-time data from the constellation of Low Earth orbit satellites tracked by the SatNOGS ground stations—a decentralized window into critical and newly accessible infrastructure. While we’ve read the position of the stars for centuries, satellites and their relation to one another has remained more opaque. 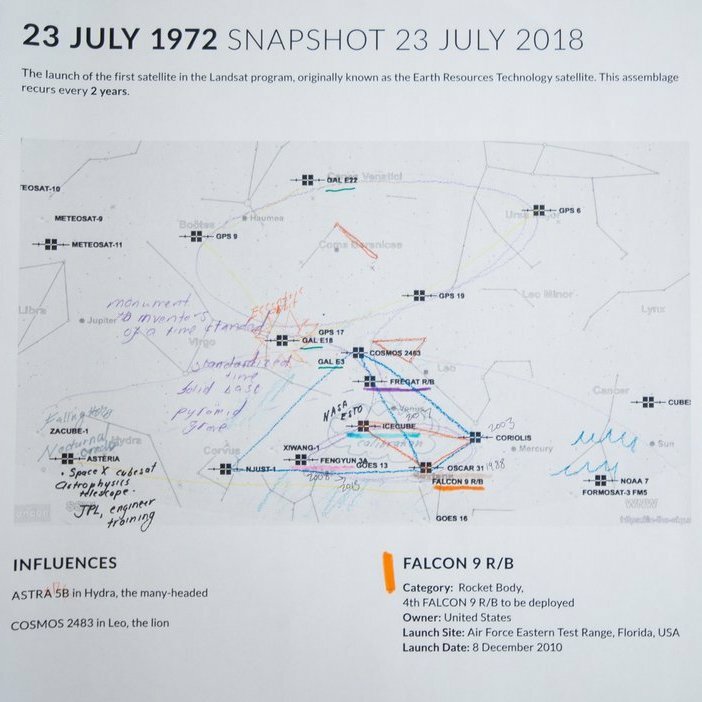 The Satellogy workshops explore methodologies to read the history behind satellites, writing speculative fictions and producing a collaborative wiki of satellite constellations and their rumored origins. This constellation of satellites appears twice yearly over the Northern Isles. Resembling a Butterfly Chair, observers noted how the the design from 1938 seems to be strained, or not equipped for its circumstance, but that new, evolutionary understandings may come from it. Denoting the crown, or head, of Spot—the robot developed by MIT and BigDog industries as a pack mule for military purposes—this constellation centres over the United Kingdom only once every five years. It wasn't until 2014, when robotic industries started sponsoring annual drawing competitions for children to imagine their own robots, that Spot became fully skinned, or clothed, and Cyngus enveloped the Integral satellite, giving the constellation its name. Add your description in the constellation wiki here . To learn more about the OSO's aims, check out our wiki on Github. Follow us on Twitter @OSObservatory. To get involved, email us at contact@openspaceobservatory.org.